The Exigo punch bag features a double end construction and combines the benefits of a straight punch bag, a floor to ceiling ball and a maize ball. It is made from premium quality cow hide leather and offers a padded inner to provide increased durability and comfort to the user’s wrists. 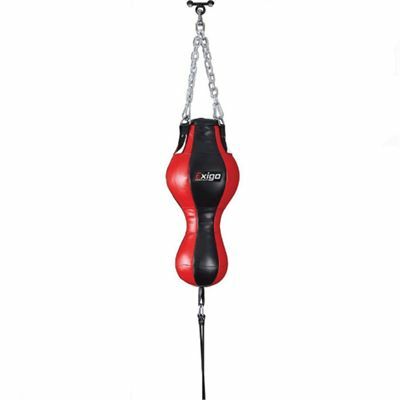 The punch bag has a diameter of 35cm (13.8”) and comes with a chain set. for submitting product information about Exigo Double End Leather Punch Bag We aim to answer all questions within 2-3 days. for submitting product information about Exigo Double End Leather Punch Bag. We aim to answer all questions within 2-3 days. If you provided your name and email address, we will email you as soon as the answer is published. for submitting product review about Exigo Double End Leather Punch Bag.